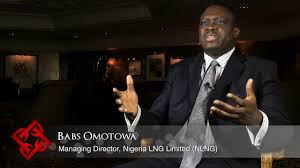 As the raging battle between PDP and APC regarding the source of the funds the Buhari Administration disbursed as ''bailout funds'' for State Governors subsists, the Managing Director of Nigerian Liquefied Natural Gas, NLNG, Ltd, Babs Omotowa has refuted the claims by the Buhari Administration that the N1.2 trillion used to bailout the States was not generated by the administration of former President Goodluck Jonathan. Despite initial promises not to reward gross mismanagement and financial irresponsibility of the state governors with a bailout, the Buhari Administration proceeded to disburse funds in three (2) categories to the Governors to relief them of the financial burden. One of the categories was the sharing out of the proceeds of the NLNG tax and the other was an intervention fund of 300billion naira from the CBN. Many financial analysts view this act as distasteful in itself saying it does not encourage transparency and accountability.